This entry was posted on March 31, 2011 at 7:00 am and is filed under Barack Obama, Conservative Issues, fascism, first Jeremiah Wright term, John McCain, Media, Politics, United Nations. You can follow any responses to this entry through the RSS 2.0 feed. You can skip to the end and leave a response. Pinging is currently not allowed. The main-stream press has always called the people who have believed that there is a problem involving this investigation as radicals and has named them “birthers and conspiracy theorists.” No answers have been provided to this question that many are now asking? Why would a natural born US Citizen spend over One Million Dollars to avoid proving they are a natural born US Citizen? If he is a citizen, why not just show the $15.00 dollar long form? In other words, Why has Barry Soetoro, (Barack Obama’s real name), hired numerous law firms and spent upwards of a million dollars trying to keep an official, ANY official, from seeing a $15 birth certificate, his passport records and his college transcripts? Forget the birth certificate for a second, why are his lawyers also hiding his passport records and his college transcrips? Something is wrong. REMEMBER THE PROMISE OF TRANSPARENCY? Obama’s hidden records: Why are these off limits? 1. 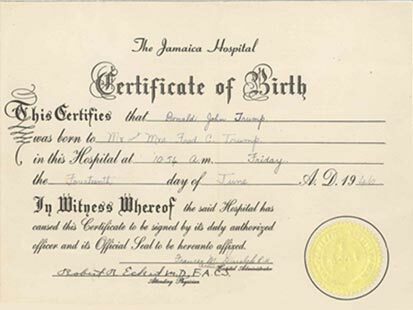 Certified copy of original birth certificate. 2. Columbia University transcripts sealed. 3. Columbia thesis paper sealed. 4. Campaign donor analysis requested by 7 major watchdog groups. 5. Harvard University transcripts sealed. 6. Illinois State Senate records limited access. 7. Illinois State Senate schedule limited access. 8. Law practice client list and billing records/summary. 9. Locations and names of all half-siblings and step-mother. 11. Occidental College Transcripts hidden. 12. Parent’s marriage Certificate not available. 15. Schedules for trips outside of the United States before 2007. 16. Passport records for all passports. 17. Scholarly articles. 18. SAT and LSAT test scores. 19. Access to his grandmother in Kenya. 20. List of all campaign workers that are lobbyists. 21. Punahou grade school records. 22. Noelani Kindergarten records are missing from Hawaii Department of Education. 23. Obama Senior 1964 Divorce Papers – 13 Pages – Missing Pg 11. 24. Why isn’t Barack Obama still a member of the Illinois bar? Where are all of the relevant documents? 25. Why isn’t Michelle Obama still a member of the Illinois bar? Where are all of the relevant documents? Many of the same news organizations and groups today (Democratic Party, ABC, CBS, NBC, FactCheck, N.Y. Times and more) dismissing concerns about Barack Obama’s constitutional eligibility were far more eager to cover the issue when Republican presidential candidate John McCain was the subject. Senator McCain was aggressively researched as to his eligibility regarding his birthplace. No such action was conducted as to President Obama. This is absolutely incredible to comprehend. Senator McCain released his required documents and more when requested. So it really comes down to this: Question? What do these four things have in common? Aliens from Outer Space. Abominable Snowman. Boogeyman in the Closet. Barack Obama’s Certification of Live Birth. Answer: All of them are imaginary! Thanks a lot for that Roy (if I can call you Roy). Obama seems to have just suddenly appeared (almost as if he were in Manchuria or something). So glad this issue is getting attention. At this point Obama has spent over $2 MILLION to keep his records sealed. I think anyone with intellectual curiosity WOULD want ALL the records available for public examination. I seriously want ALL R’s to demand he unseal his records. Produce or resign is right. Wouldn’t you spend at LEAST $2 million to keep your birth certificate from being seen, HL? I have been very reluctant to become a “birther,” as we’re being labeled. But this has gotten beyond ridiculous.